Exposure: Indirect sunlight. Mainly grown as a house plant. Bloom Time and Color: Yellow, Spring. Lasting 4-8 weeks. 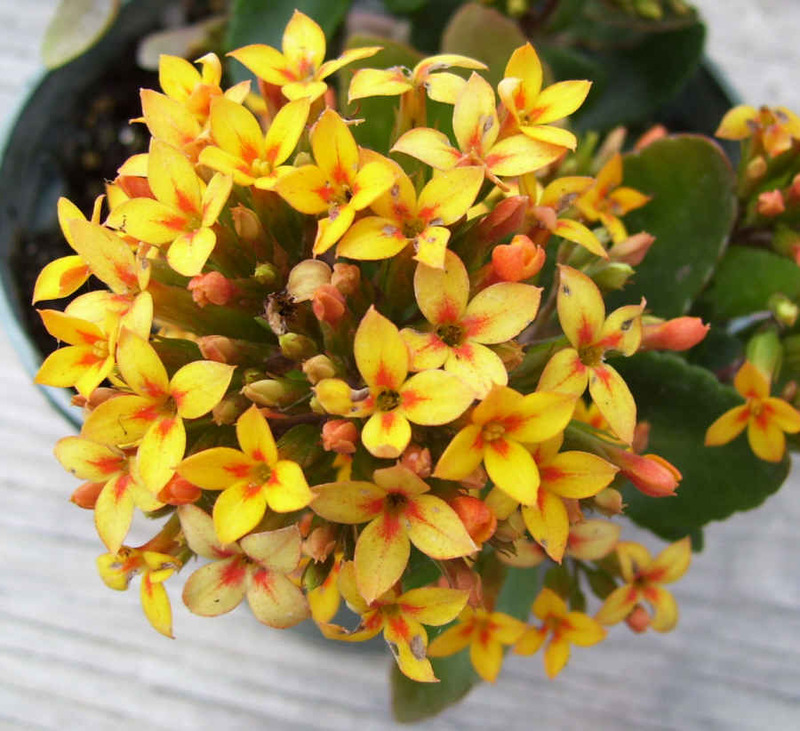 Description: Kalanchoe is one of the prettiest members of the succulent family. They have been developed in a variety of colors: yellow, orange, pink, white, purple. The plant is very popular to gardeners because of its long lasting flowers and attractive foliage. Care: Kalanchoes are easy to grow, need warm temperatures and minimum care. Remove dead leaves and spent blossoms.